Bond ratings are representations of the creditworthiness of corporate or government bondsFixed Income SecuritiesFixed income securities are a type of debt instrument that provides returns in the form of regular, or fixed, interest payments and repayments of the principal when the security reaches maturity. These instruments are issued by governments, corporations, and other entities to finance their operations. The ratings are published by credit rating agenciesRating AgencyA rating agency is a company that assesses the financial strength of companies and government entities, especially their ability to meet principal and interest payments on their debts. The rating assigned to a given debt shows an agency’s level of confidence that the borrower will honor its debt obligations as agreed. and provide evaluations of a bond issuer’s financial strength and capacity to repay a bond’s principal and interest according to the contract. The three private independent rating agencies – S&P, Moody’s, and Fitch – control almost 95% of the market share of the bond rating business. Each rating agency uses its own grading system. However, all rating systems classify the bond investments by quality grade (investment grade/non-investment grade/not rated) and riskMarket Risk PremiumThe market risk premium is the additional return an investor will receive (or expects to receive) from holding a risky market portfolio instead of risk-free assets. The market risk premium is part of the Capital Asset Pricing Model (CAPM) which analysts and investors use to calculate the acceptable rate (from default to highest quality). Investment grade bonds are safe investments with minimal default risks, but they provide minimal yields. On the other hand, non-investment grade investments are riskier, but they offer a higher yield. Bond ratings prepared by professional analysts provide institutional and individual investors with a reliable source for making investment decisions. Standard & Poor’s (S&P) is the oldest credit rating agency and one of the three Nationally Recognized Statistical Rating Organization (NRSRO) accredited by the U.S. Securities and Exchange Commission. The company covers more than one million credit ratings outstanding on government, corporate, structured finance entities, and securities. S&P issues both long-term and short-term ratings. The main goal of the S&P credit ratings is the assessment of a security’s default probability. Moody’s is another credit rating agency accredited by NRSRO. The company covers more than 135 sovereign nations, 5,000 non-financial corporate issuers, 4,000 financial institutions, 18,000 public finance issuers, 11,000 structured finance transactions, and 1,000 infrastructure and project finance issuers. Unlike S&P and Fitch, the primary purpose of Moody’s ratings is the evaluation of projected losses in case of a default. The numerical modifiers can be added to the existing rating categories from Aa to Caa. The number 1 indicates that that the obligation is ranked at the higher end of the rating category, 2 indicates a mid-range ranking, and 3 indicates the lower end of the rating category. Fitch is the smallest credit rating agency among the “Big Three” agencies. The firm covers several different sectors, including financial institutions, insurance, sovereigns, corporate finance, structured finance, Islamic finance, and global infrastructure. However, Fitch’s market share is limited relative to that of its bigger rivals. Similar to S&P, the main purpose of Fitch’s rating is the assessment of a security’s default probability. It also uses a similar rating scale as S&P. 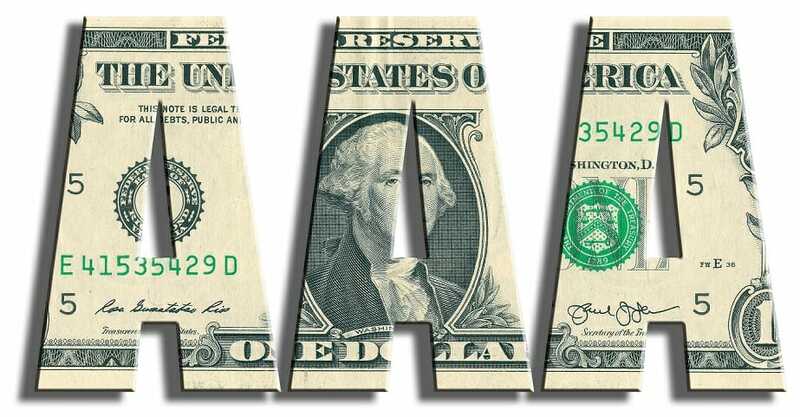 Credit rating agencies play an important role in credit laws and regulations in the United States and a number of European countries. Moreover, rating agencies significantly affect global capital markets by providing an assessment of securities to investors. Credit ratings remain one of the essential sources of information regarding credit analysis and credit risk for investors. However, investors must not solely rely on the credit ratings provided by credit agencies. The global financial crisis in 2007-2008 proved that the close relationship between credit rating agencies and large financial institutions could cause conflicts of interest. For example, credit rating agencies gave the highest ratings to many mortgage-backed securitiesMortgage-Backed Security (MBS)A Mortgage-backed Security (MBS) is an investment that is secured by a mortgage or a collection of mortgages. An MBS is an asset-backed security that is traded on the secondary market, and that enables investors to profit from the mortgage business that, in reality, were close to the status of junk securities. Equity vs. Fixed IncomeEquity vs Fixed IncomeEquity vs Fixed Income. Equity and fixed income products are financial instruments that have very important differences every financial analyst should know. Equity investments generally consist of stocks or stock mutual funds, while fixed income securities generally consist of corporate or government bonds.